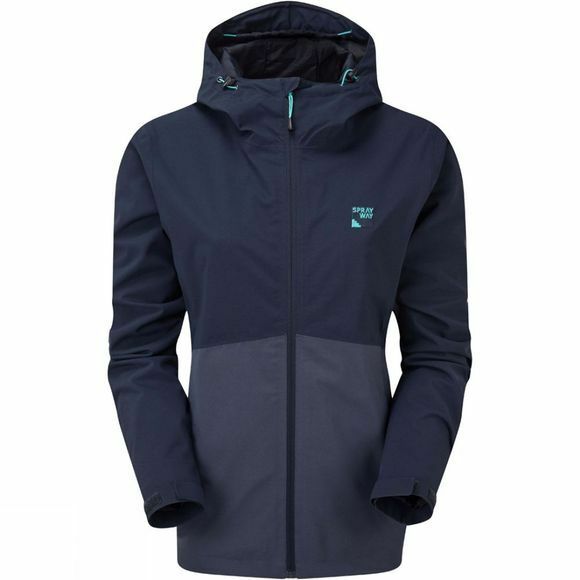 The Womens Kyrre Jacket from Sprayway is waterproof, breathable and windproof thanks to a 2-layer HydroDRY fabric which will keep you warm and dry whatever your adventure. Standard pockets are located on the outside of this lightweight garment should you wish to store any valuables. A reversed centre front zip allows you to adjust ventilation. The large grown on hood can be fully adjusted via a wired peak with a drawcord adjustable hem allowing for a secure fit. An inner storm flap keeps out the unwanted wind and rain leaving you to carry on your adventure without getting soaked.